The new 2018 Q1 Cryptocurrency Report by CoinGecko features a ton of interesting stats on the current state of cryptocurrency. Here are some of the highlights. 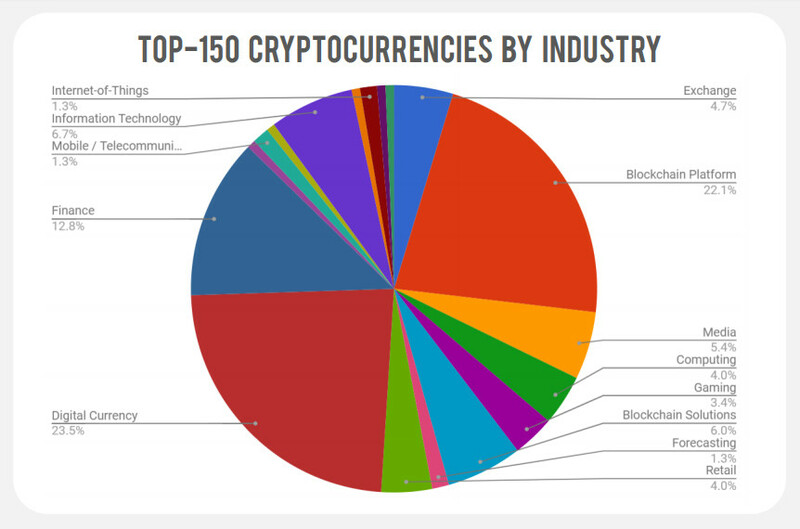 The report breaks down the top 150 cryptocurrencies by industry. The results show that currency and blockchain platform coins dominate, representing 45.6% of the market. Finance coins trail in third place, representing 12.8%. 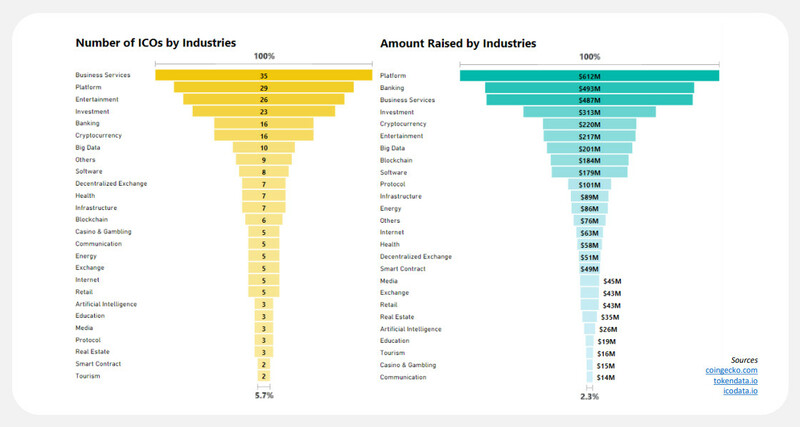 Data from the report also reveals the number of ICOs by industry and the amounts raised by each industry. Business services topped the list with 35 ICOs, followed by platform projects with 29 and entertainment with 26. Platform projects, banking projects and business services raised $612 million, $493 million and $487 million, respectively. Big data ICOs took in $201 million with 10 projects, and decentralized exchanges took in $51 million with 7 projects. The highly-saturated cryptocurrency market, dominated by Bitcoin, Ethereum, Ripple, Bitcoin Cash and Litecoin, saw no shortage of ICOs. This category ranked 6th with 16 projects raising $220 million. 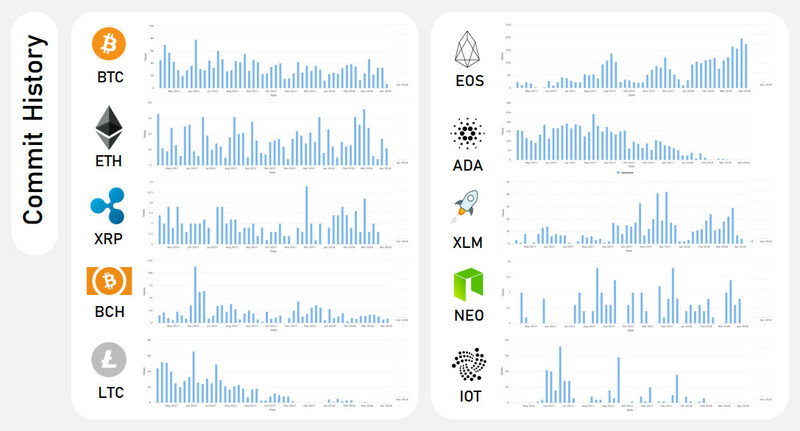 In addition, the report looks at how active the development teams of the top 10 cryptocurrencies are, according to public data. The results show EOS, Ethereum, Bitcoin and NEO leading the pack in the month of April. CoinGecko used open source code repositories like GitHub and Bitbucket to analyze which coins have the most active teams at work. A global snapshot of regulatory outcomes following the G20 Summit held in Argentina shows the legal status of cryptos country by country. 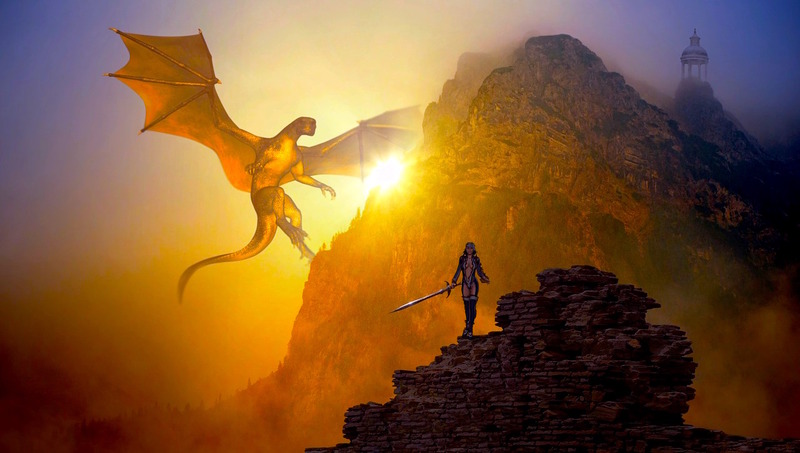 China flies solo, making cryptos illegal.